I have found my new favorite dish!!!! 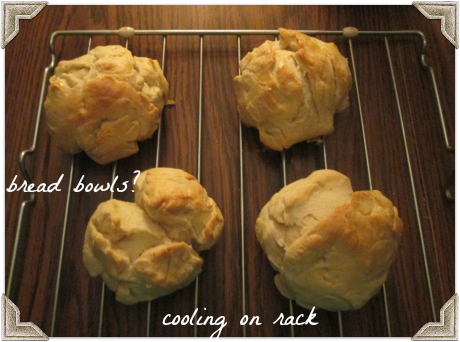 I was a bit nervous about making bread from scratch but it came out amazing…. This is his creation, as he called it. That is just before it had to sit for 35 minutes to expand. Which wasn’t much. I was able to get about 6 round loafs out of it. I only cooked 4 though. They don’t look like bowls at all. I plan on shaping them more next time. After they were cool I pulled some of the dough out for the soup. 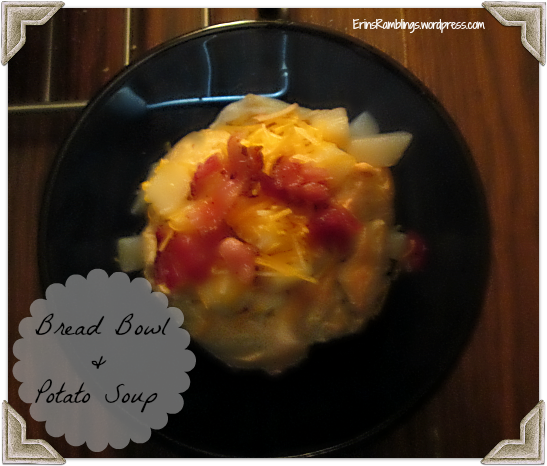 Here is the recipe I use for the bread bowls…. You can see that my bowls look NOTHING like theirs. I added more cheese and bacon to the top. Since I wasn’t sure if the bowls would hold the soup , I placed the bread bowl in to a soup bowl . Jon can’t stop talking about it ! 🙂 It was SOOOO YUMMY! Things I would do differently …. Since making the bread takes a little over 2 hours to make, I will have to start at about 2:30 . I think I started the bread around 3:20. We at about 6. We usually have dinner at 5. 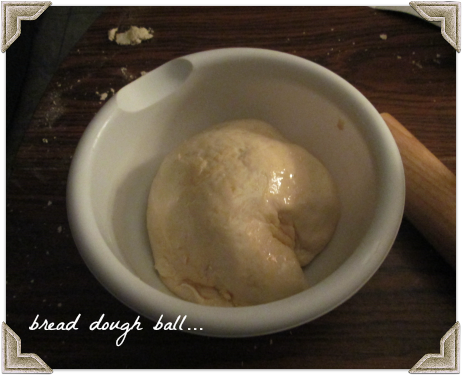 Like I mentioned, I want to shape the dough a bit more so they come out looking like bowls or close to it. oh and take better pictures!! I can’t wait to make this dish again!!!! !